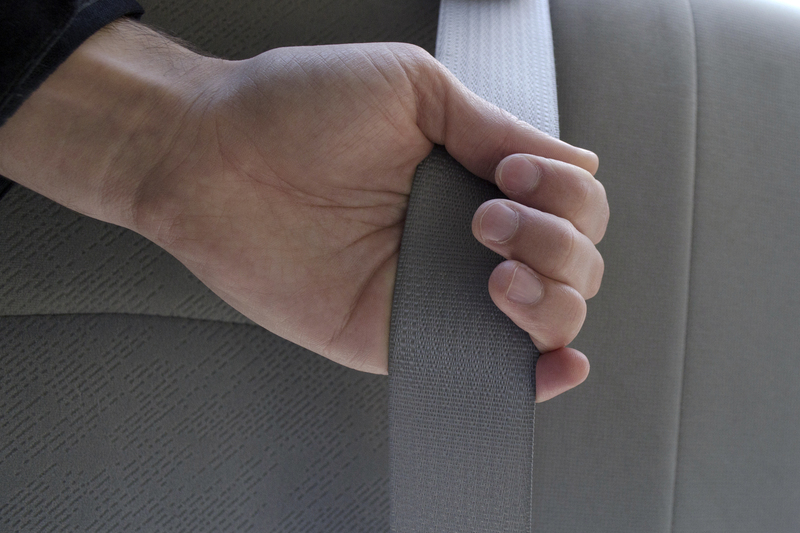 Your car's seatbelts are vitally important and keep all the passengers in the car safe. However, periodically they can get jammed or stuck. In some cases this can be a much more serious problem that needs to be repaired by the dealership. However, you can troubleshoot this problem yourself quickly and easily. Pull on the seatbelt to try and release it from its auto-lock function. If the seatbelt is buckled in, simply unlatch it from the cartridge and gently pull it away from the seat to release more of the belt. Then let it gradually go back into form behind the seat. If it does not snap back into place, the belt may be tangled, twisted or there may be a jam deep within the mechanism. 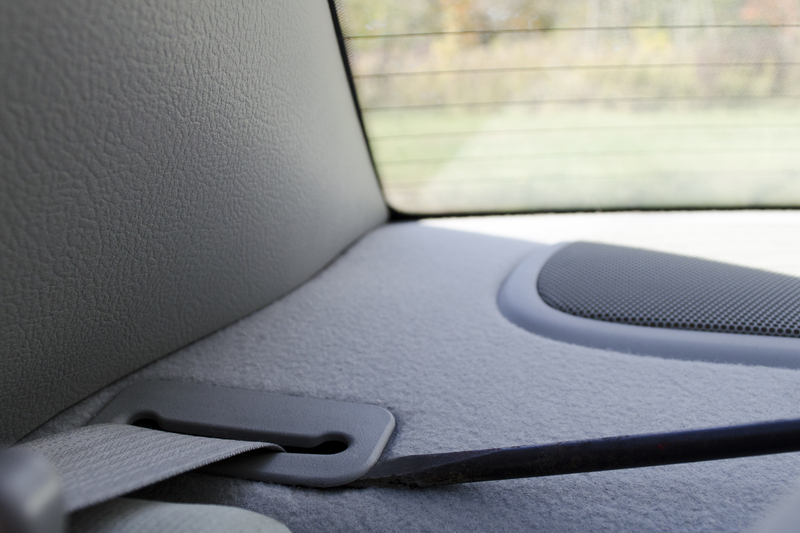 Pry off the plastic covers that hold the seatbelt mechanism with a screwdriver or needle nose pliers. This will expose the belt loop and hardware. 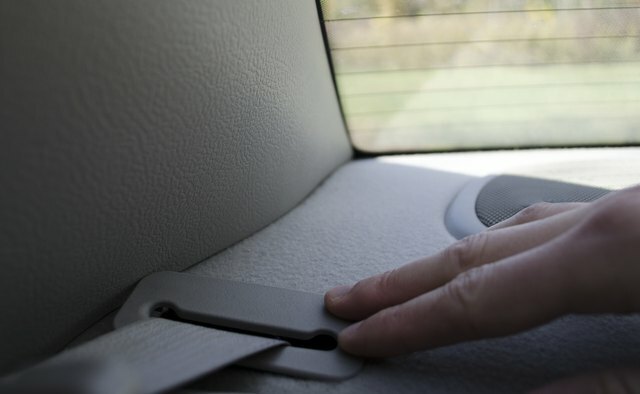 If the seatbelt is in the back seat, you will need to pull the seats down and expose the seatbelt mechanism which is typically located in the trunk area, often underneath the trunk's floor layer. This can be accessed by simply lifting up the floor layer where the spare tire is often located. Pull the seatbelt out completely. 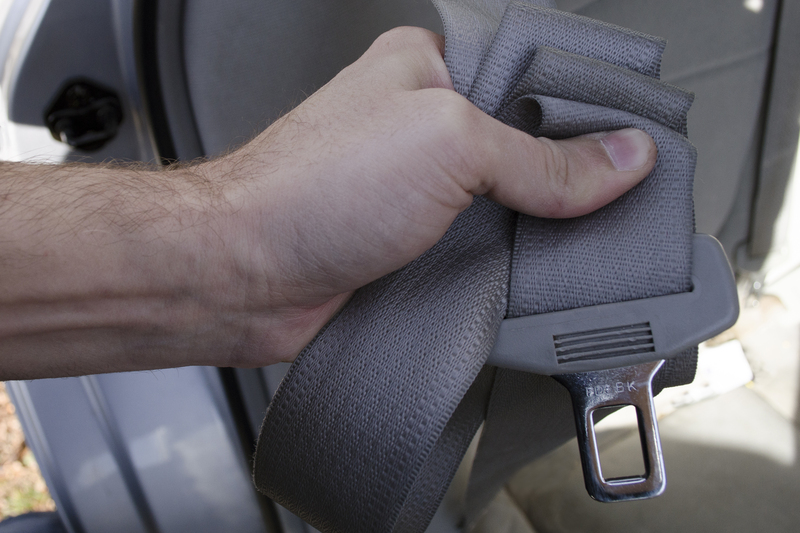 This will expose any tangles, kinks or objects jammed in the belt itself, or in the bottom of the seatbelt mechanism. Untangle the seatbelt if there are any jams in it. In addition, if there are any objects stuck within the belt loop or the bottom portion of the belt loop, remove them with either your fingers or by using needle nose pliers. 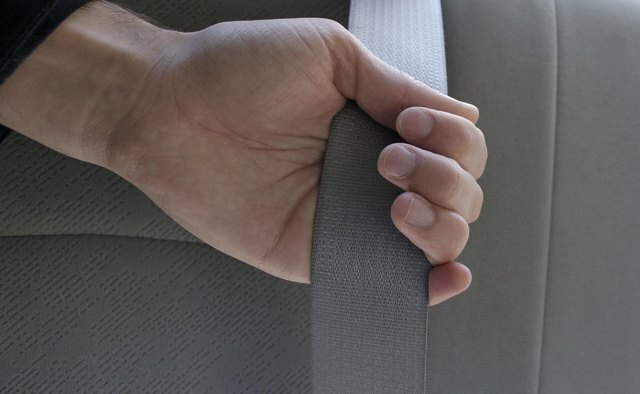 Allow the seatbelt to roll back into place. Test the belt to make sure it releases and locks into place normally. 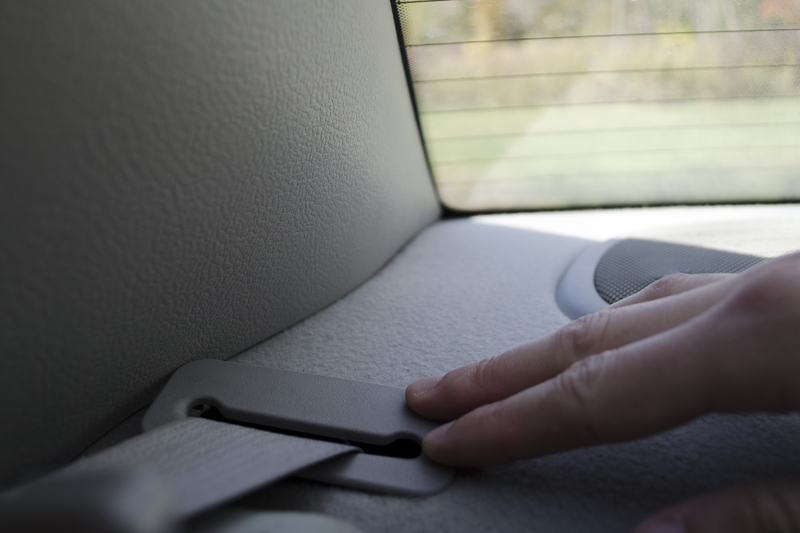 Once everything seems to be operating fine, you can replace the plastic seat belt mechanism covers or put the back seat into its position. 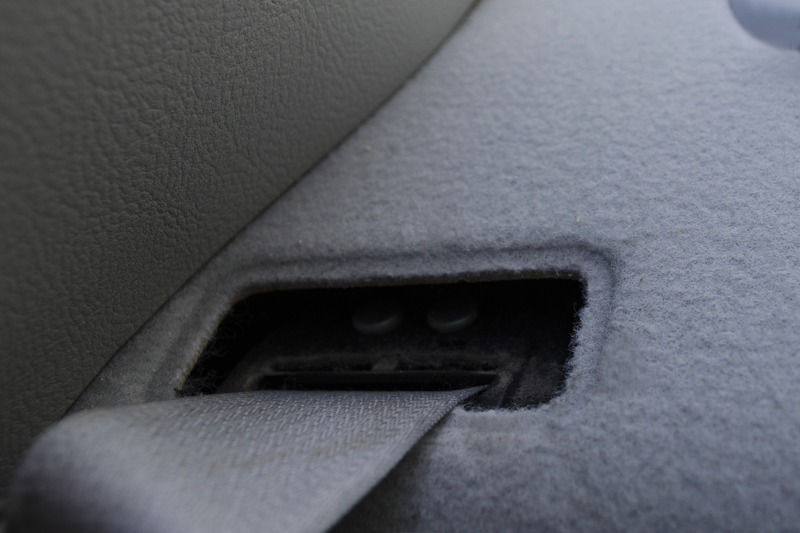 Be very careful when taking off the plastic covers that cover the seatbelt mechanism. Gently pry the covers apart from the car's interior in several different places, not just in one spot. If the seatbelt is still not operating properly, contact your dealership or mechanic immediately. The seatbelt may have a major malfunction which may need replacement.